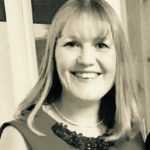 My name is Kate, I am married with two grown up sons – they may not be children in age but they will never grow up in my eyes but they will never really grow up because they are male. I live in the North East of England just north of Newcastle upon Tyne. 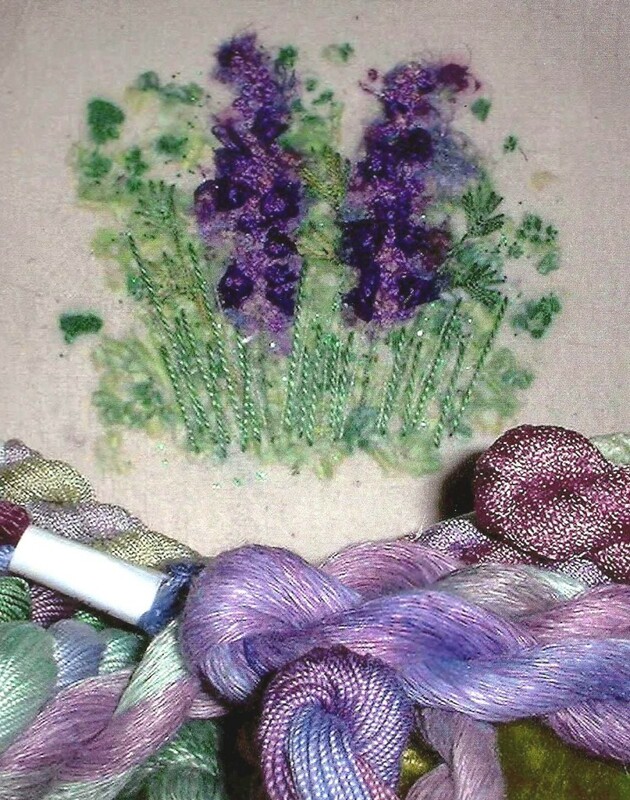 I have played about with textiles all of my life, anything from machine embroidery, weaving, hand embroidery to dressmaking. I have recently taught myself how to crochet, I must have reached that age when I feel the need to sit and crochet a knee rug. I have lived in this male dominant household for so long that I try my hardest to remain ‘girly ‘by sewing and doing anything remotely feminine like painting the conservatory pink, positioning scatter cushions onto every soft surface and adding a bit of sparkle and bling around the house. 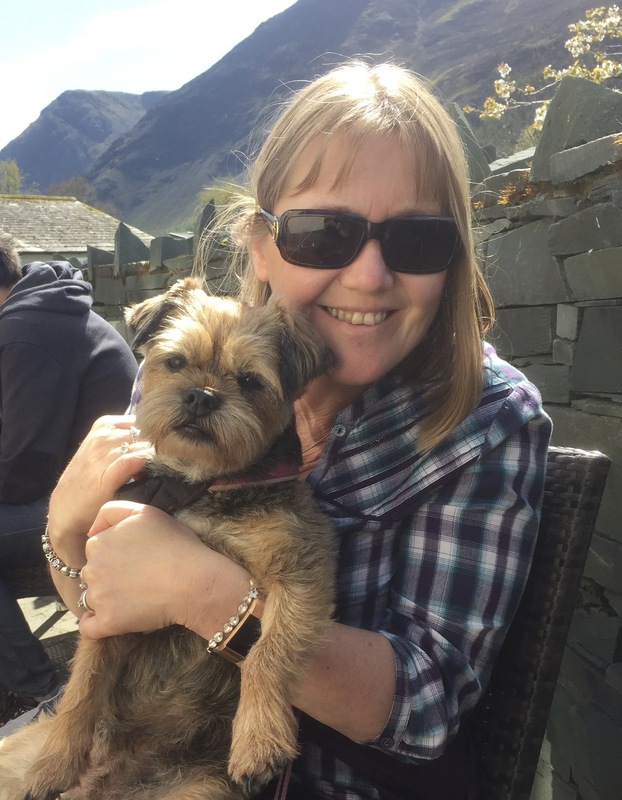 We have a little border terrier dog who is a girl, that was the negotiating point, so I do have another female to back me up. We have a caravan in the Lake District where I can escape from reality. I love nothing more than walking and photographing wild flowers. These provide the inspiration for my textile work. 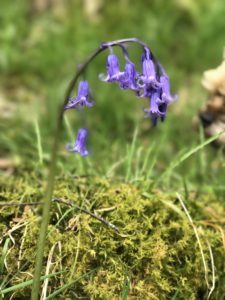 I recall early childhood memories of walking through bluebell woods with my grandmother, I was in awe of their colour and beauty. 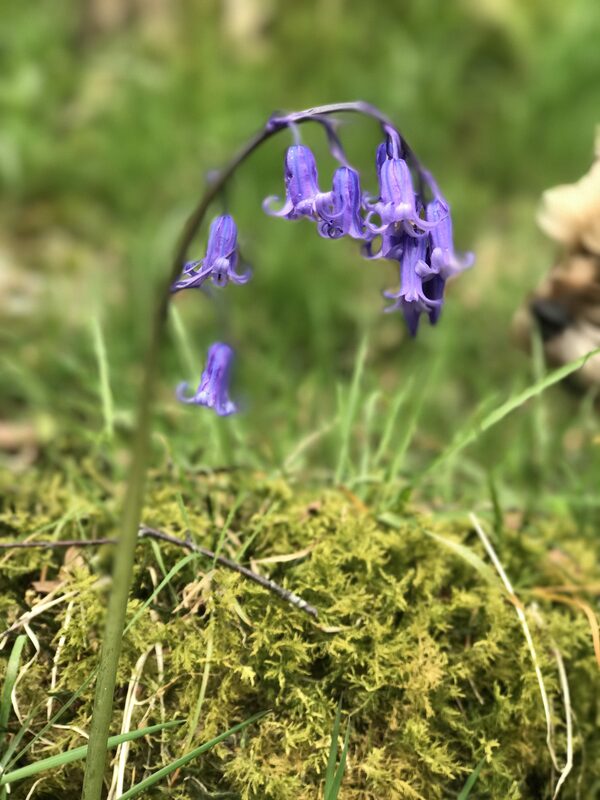 Primroses, forget-me-nots, red campion and bluebells were the flowers that kindled my initial love for wild flowers as these were the flowers that she loved and would encourage me to indulge in their splendour and beauty. Today my escapism is achieved through long walks in the countryside; time to stop, look around and appreciate our surroundings. 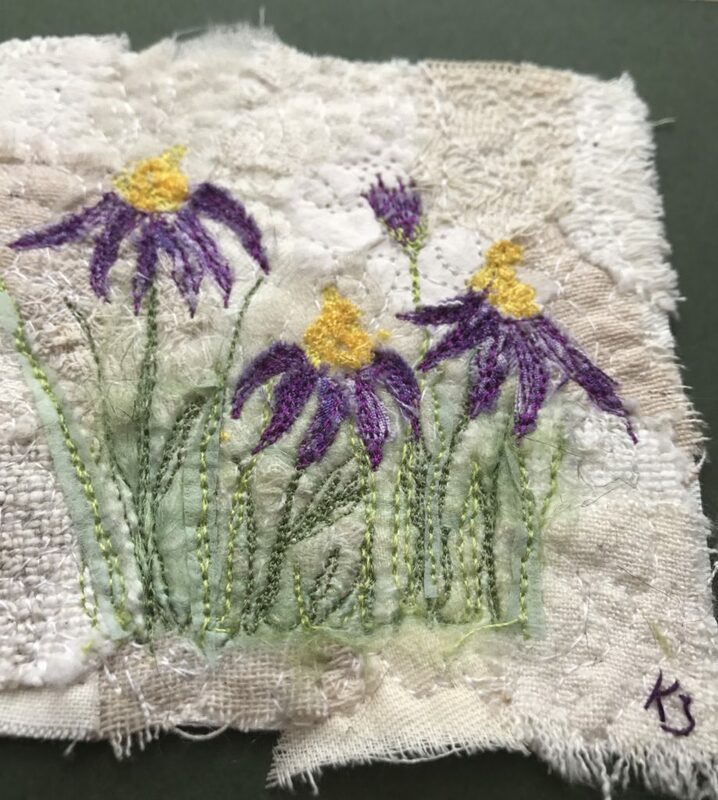 Fabric scraps and mixed media create the foundations for my embroidery; hand dyed fabrics are used to create the textures and hand dyed threads are embroidered into my work to add definition using both machine and hand embroidery. The heart of my work is created from very small pieces that are joined together to create a rugged background texture, this represents how our lives are crammed with many things that we should bring together to enhance the quality of life. I have always loved textiles and textiles has always played a massive role in my life. I studied textiles at Manchester Polytechnic within my Home Economics Degree. After I graduated I worked as a dressmaker for a few years before I started my family. Whilst my children were young I taught a range of adult education classes across Northumberland including soft furnishings and creative embroidery courses. I developed a Creative Needlework course that was accredited through the National Open College Network covering four levels of achievement. 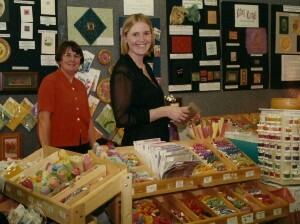 In 2000 I set up my own business Kates Kloths. I began dyeing threads and fabrics from home and quickly realised that this was not very practical with two small boys. I took my threads to the Knitting and Stitching Show in Harrogate and the public response was so positive that I swiftly moved into a small unit/workshop at Whitehouse Farm in Morpeth. This was a brilliant base for me to start my business; I was able to dye my threads, run workshops and travel around the country to the exhibitions. Unfortunately Foot and Mouth in 2001 did affect my business as visitors were limited but we ploughed on through. 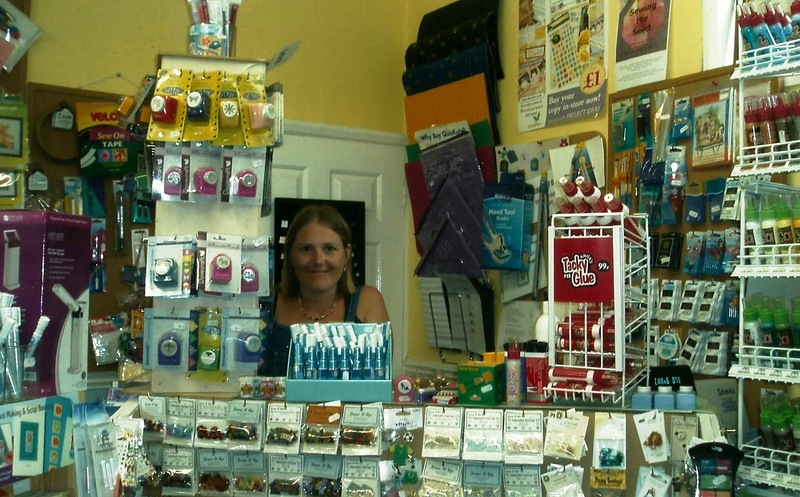 In 2002 I took on a shop in Blyth; this provided me with a retail outlet and a classroom which was on a bus route. 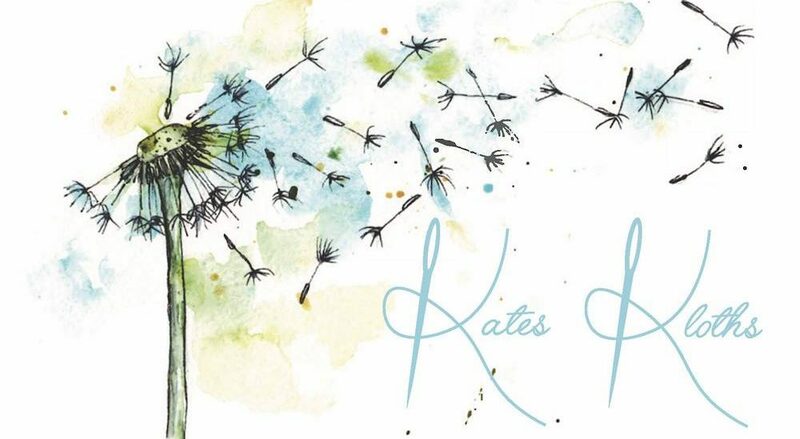 Kates Kloths was a successful business with many loyal customers however I felt as though I was missing something, I loved teaching workshops and knew that I wanted to teach children. 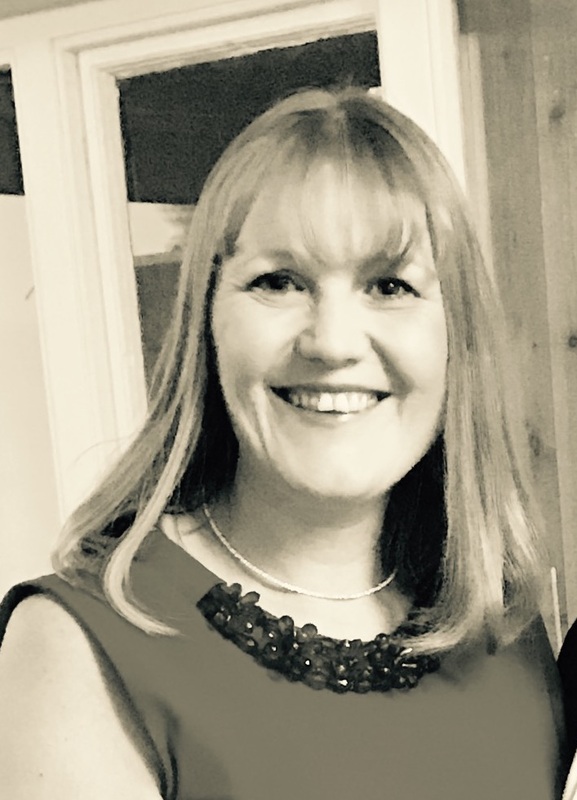 In 2006 I went to Northumbria University to study for my secondary school teaching qualification whilst running Kates Kloths (with a lot of help from my mother and aunt). 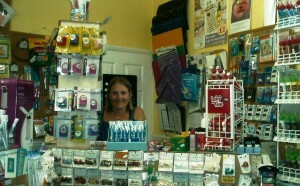 In Sept 2007 I closed the shop and went to teach textiles at one of the largest secondary schools in Newcastle. I thoroughly enjoyed teaching and after ten years I was Head of the Technology department. 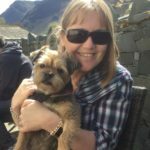 Unfortunately due to ill health I was forced to resign from my teaching role within school and this provided me with the opportunity to concentrate on my textile art which is what you can see on my website today. Thank you Kate for all your encouragement and help when I was doing my C&Gs quite a few years ago. So happy that we’ve seen this … Really pleased to see you’re back doing what you love! 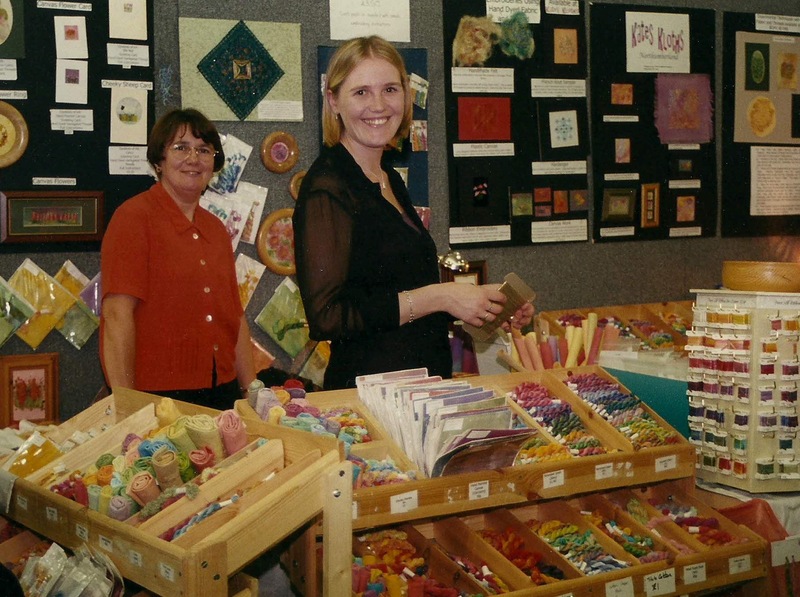 My Mam & I did a workshop upstairs at your little shop in Blyth many years ago & we always looked forward to seeing you on your stand at the shows, with your unique display of beautifully hand dyed threads & kits. Thank you very much. I am planning more workshops and I will let you know when these are planned so hopefully we can meet again in the near future.